Introducing STORIS BI. A new, real-time business intelligence solution for home furnishings retailers that makes data analysis accessible, actionable, and collaborative. STORIS BI is fully integrated to STORIS’ transactional solutions, allowing for a Unified Commerce analytics strategy. The solution captures data from a retailer’s in-store, eCommerce, and mobile technologies. STORIS BI allows for analysis of consumer behavior across channels. The above quote from Business Insider perfectly summarizes why STORIS has been investing in the development of a Unified BI solution for our home furnishings retailers. A keen, real-time understanding of consumer behavior is what will lead retailers to thrive in a changing marketplace. To build the foundation of STORIS BI, we are proud to have partnered with the Gartner Leader in Business Intelligence, Microsoft. Data Warehousing of data from across STORIS’ Unified Commerce solution occurs behind the scenes using the powerful processing of the Microsoft Azure Cloud DW solution. 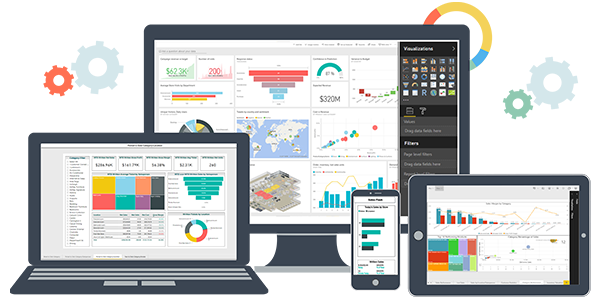 The intuitive, front-end application of STORIS BI is built on the Microsoft Power BI platform. Why Invest in Technology for Business Intelligence? Consumer behavior is complex and occurs in fluid patterns across channels. Retailers must understand their consumers’ behavior at all points in their purchasing journey to be able to make well-informed business decisions. Is a spike in website traffic always indicative of a rise in in-store sales? How often does a customer who leaves a store with an item in their shopping cart complete his or her order at home? Was a marketing communication used to close the sale? A Unified BI platform allows you to look at trends that can impact other metrics in a cross-functional manner, giving your business 360-degree insights that support strategic decisions. Historically, data analysis required IT involvement to write complex queries to a database. Strong BI programs are evolving to be business-led. With STORIS BI, our developers have built the back-end data sets, calculated measures, and relationships between data tables. This delivers an accessible, easy to use interface to the end user and empowers more individuals in a company to analyze their business. 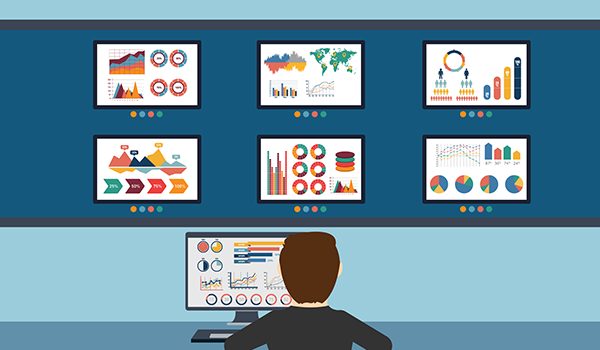 Visuals are an important part of a modern Business Intelligence suite. Dashboards help users quickly identify trends and summarize large sets of information. Effective dashboards combine a variety of graphs, charts, tables, and other visuals. With STORIS BI, the user can choose how to display their own dashboards to best benefit their tactical areas of analysis. STORIS BI is an easy to use, interactive workspace. Users can drag and drop fields into the view to choose what metrics to highlight and measure. Dashboards are automatically updated in real time to include the latest data points being captured in STORIS’ transactional database. The workspace is flexible and allows the user to adjust how the data is presented within the dashboards as they wish. Within the workspace, users can also drive down deeper into the data and further understand findings. STORIS BI comes with out of the box queries that retailers can begin using to analyze their business today. Designed specifically for the furniture industry, these include standard key performance indicators (KPIs) such as gross margin or average ticket value. Conversely, retailers are also able to customize the defined measures if their organization calculates a formula in a unique way to their business. Additionally, standard date parameters are built in, so the user can choose to run against time frames such as year-to-date or monthly vs. daily reports. Former analytics programs struggled to be diffusible across the organization, while still maintaining the security of sensitive business information. STORIS BI has built-in security controls tied to the user’s role in STORIS’ ERP Software. This will dictate what information employees can or cannot access from their dashboards. STORIS BI has three user types as well: Admins, Editors, and Viewers, all with different controls as to how they can interact with the data. To create a collaborative BI platform, users can be granted access to view different dashboards. Users are also tied to report groups enabling streamlined distribution of information and real-time updates delivered directly to their select users. Business owners and executives in the home furnishings industry are on the road throughout the year. STORIS BI is a web-based application that can be deployed on any web browser. Mobile dashboards are also available, so executives can stay on top of performance while traveling, right from their smartphones or tablets. Further benefits of STORIS’ BI platform will come from integrations to other critical data sources. Upcoming integrations include Google Analytics, store traffic counters, and demographic insights. STORIS’ core analytical and reporting tools are still available as part of the core product offering. You can learn more about those features here. STORIS BI is now available. Fill out the form to learn more today.